OLD bottles mean a lot in the Helensburgh district because of its rich history of soft drink manufacture. Many people collect old bottles from that era, while others often dig up complete or broken old bottles in their gardens. That is what happened to burgh man Charles Hood. 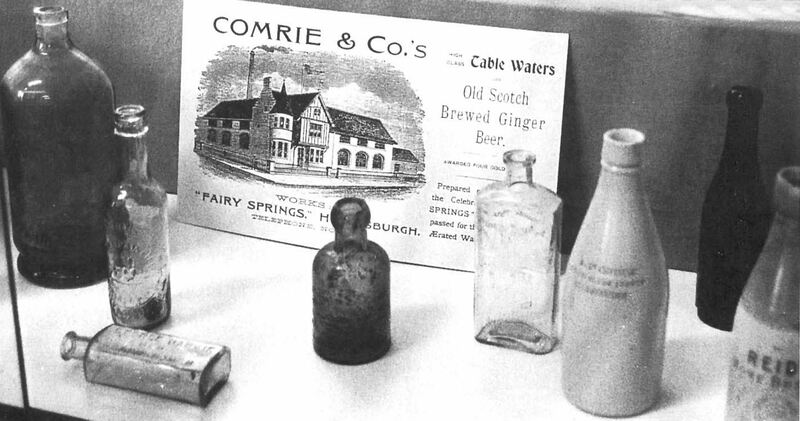 He says: “I was digging up an old lead water pipe to replace it with a plastic one, and came across fragments of crockery which included a clay bottle which reads 'Comrie & Co., Helensburgh, Ginger Beer, brewed from the celebrated Fairy Springs of Helensburgh'. A Glasgow man, W.Stuart McLean, was interested in an aspect of the same topic, and he turned out to be no mean researcher. He says: “Last year my step-daughter bought the upper flat at 27 George Street, on the west side just north of East King Street. There are four flats in this block, and the southmost two, 25 and 27, have been known as Fairybank since 1875. 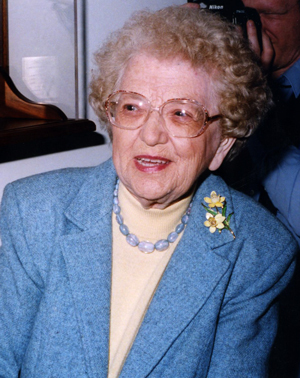 “I discovered from title deeds that Janet Orr, the daughter of Peter Orr, glass merchant of Helensburgh, owned all the land in the block bounded by King Street, Lomond Street, Argyle Street and George Street, and in particular the land on which my stepdaughter's house stands. “In 1873 Janet married 40 year-old Alexander Comrie, the Helensburgh builder, and, from the Helensburgh Guide of 1875, the Comries lived in Fairyknowe, 28 Lomond Street. The 1865 Guide listed Fairyknowe but with a different occupant. “By 1905 it is assumed Alexander the builder had died or retired, but by this date his two sons had established the business of Comrie Brothers & Co., aerated and mineral water manufacturers. After further research Mr McLean discovered from the commercial directory in the 1905 Guide that Comrie & Co. aerated and mineral water manufacturers were at 65-67 East King Street. Also D.Kirkwood Comrie lived at Fairyknowe, 30 Lomond Street. “The 1915 Ordnance Survey map shows a large building on the south west corner — King Street and Lomond Street — of the above mentioned block. This was the factory, in the grounds of Fairyknowe mansion and situated beside my stepdaughter's house Fairybank,” he says. “I understand that this building later became a garage called Cameron Motors, and in a 1930s guide I found an advert for Cameron Motors — at 65-67 East King Street. Further information comes from local historian Patricia Drayton, who featured a picture (top of page) of the Comrie & Co. Fairy Springs in her 2002 book 'Trading Places', and from local historian Alistair McIntyre of Garelochhead. Patricia established that in September 1888 the Gareloch Aerated Water Company came into existence at 17 East Princes Street, where D.M.Gentle manufactured mineral waters. Around 1883 J.R.Reid set up as a chemist and aerated water manufacturer with a shop and factory at different addresses on Clyde Street, and several years later he moved manufacture to the Lily Springs in James Street. This was later owned by the well known Garvie lemonade firm, closing in 1957 because of alleged contamination of the water and moving to Milngavie until they closed that factory around 1985. During the same period Comrie & Co. opened the Fairy Springs. All three bored up to 500 feet through an outcrop of solid rock between George Street and John Street to reach the springs. Alistair McIntyre said that Reid's Lily Springs used bottles of the Codd stopper design. This type of design had a glass marble in the neck, held in place by the pressure of the carbonated contents. Hiram Codd patented his design in 1870, but the design fell out of vogue very rapidly after the turn of the century, when the internal screw thread and stopper became available.